For anyone who might be interested in the Bitcoin phenomenon, from the standpoint of how things work in Thailand, I have launched a website to serve as a central clearinghouse for relevant information. 1. As a store of value - and it continues to take periodic beatings in this regard, due to whipsaw price volatility. 2. As a means of carrying out convenient retail or on-line financial transactions - with an app on your mobile phone, you can make a payment down to 25 satang very quickly and easily, at a merchant set up to acceopt payments; in the future, it will be easy to make (or receive) on-line micropayments - of, say, 20 or 30 baht - opening up new ways of delivering paid content at a very low threshhold of entry. 3. As a method of transferring funds internationally - quickly and inexpensively. In this role, Bitccoin van be thought of as a "magic envelope". You purchase as envelope to hold a specified amount of funds in whatever currency you are using to purchase the envelope at your end. The size of the envelope is determined by the amount of money it contains. You then send the "magic envelope" off to its destination - similary to sending a e-mail message or Tweet - but to a very strange looking alphanumeric address. The "magic envelope" reaches its destination within a few minutes - anywhere in the world that has internet. It can move 24 hours per day, 365 days per year. The "postage" for the trip is about 1 Satang - regardless of the size of the envelope. The recipent "opens the envelope" by "cashing it in" for an amount of money in local currency, roughly equivalent to what you orginally put into the envelope. The "magic envelope" is then ready for reuse by someone else. 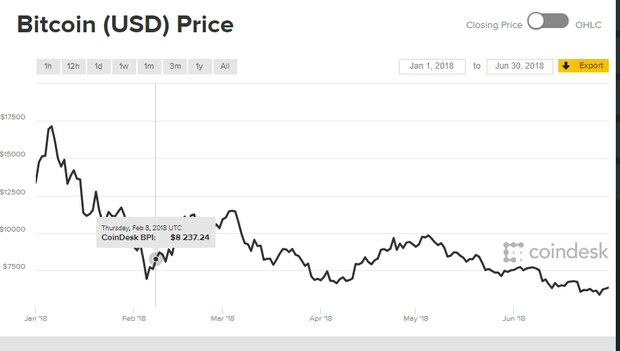 Right now, due to limited numbers of exchange points, the "exchange rates" between Bitcoin and local currencies can be somewhat unattractive - but that situation will improve, as more players begin enterring the market, increasing competitiveness. Resistance to Bitcoin in 2014 is almost perfectly mirroring resistance to e-mail in 1994. It is only a matter of time before digital currencies become ubiquitous. I got into cybercurrency/cryptocurrency after a friend was going on about. I did some research and at first nibbled late 2015 then got in heavier. Best effin investment I've ever had. I worry about two things though 1. the governments getting involved. There is no way they will let that much worth of anything be bought and sold without wanting to relegate and tax it. 2. Safety. I worry about losing it in cyberspace. There are wallets and such but I've heard some stories and I have a coworker who had bitcoin at 400 bux and can't find it now. Now that the wall street traders and penny stock speculators have entered the fray there will be much wilder swings. I'm a long term investor...long term in CC is 2 or more years..lol. I have a dollar amount value I want to achieve then I'll scale down and diversity into real estate. If I want to see the price of something dive, I'll invest in it. Stick to the coins filled with chocolate. At least you could always eat them. I know I'll seen as some masochist but I actually like cryptos. I got in fairly early as I said in above post. Started in 2015 so even after the huge drop from its 2017/2018 highs, I still enjoy a healthy profit and I am still confident it will come up again. Anyone who knows the history of bitcoin will know drops of this nature is not uncommon at all. I've experienced 70 percent drops in my coins...I didn't mortgage house to buy it. Totally discretionary income money where it won't kill me if it all went to zero. I think it will rise after the next economic crash. Every person 30 and under I have spoken to about it either has it or if they don't they view neutrally or support it. Complete opposite for anyone over 50. I've also never met anyone who thought it was a scam/fake/ etc that understood it enough to explain what it is and what block chain is...just saying. My aversion to it is the people who will control it eventually, like Goldman Sachs etc. Block Chain itself is a boon, but like nuclear fission, only when used properly. the thing about cryptos is it can't be "controlled" and that is why the early adapters were young people. almost all teenagers and 20 somethings who lived through the 2008 crash and faced huge college loans. It started in 2009 in the wake of the crash and the people who I heard talk about earliest were young folks (the guy who introduced it to me was about 26 at the time) and they believed in it wholly philosophically because it took the power away from the central banks and Wall Street banks. Bitcoin, for example went from a fraction of a penny to over 1,000 dollars pretty much purely on its own by its philosophically centered users, which were young people globally. While I am not trying to convince anyone to buy it...lol..what I will say is it won't go away. Reports of its imminent death I strongly believe have been greatly exaggerated. The future (population) supports it. So, its hear to stay in some form or capacity I believe. The potential is HUGE. The only way Goldman Sachs can control any part of it is if they develop their own coin, control the number of and owner of tokens. People who buy bitcoin are never going to go along. What makes certain coins like Monero used is the anonymity. No one controls it, no one can see who owns what. The groups and the respected speakers on cryptos would all trash a Goldman Sachs coin.